Robert Gregory Partners will be hosting a 60 minute educational webinar presenting how to effectively use program-support coaching to increase your leadership development program results by 400%. We are honored to have Jennifer Cowles, Leader of Leadership and Executive Programs at KeyBank, as a presenter to discuss how KeyBank has added program-support coaching to greatly enhance their leadership development programs. Jennifer Cowles has over 20 years of successfully leading large corporate-wide training and leadership development programs across multiple industries. She is a visionary leader in driving creative, customer focused results that align with corporate strategy, culture initiatives and business needs. Prior to joining KeyBank, Jennifer led successful leadership programs at Sprint and Black & Veatch. 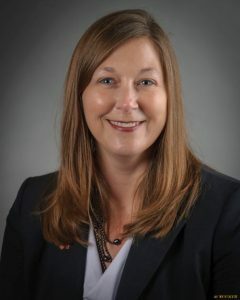 In her current role, she leads the leadership and executive programs for KeyBank including executive multi-month programs, leadership multi-day programs, manager curriculum, and competency development. Additionally, she supports corporate-wide and client specific talent management initiatives. Jennifer holds a B.S. in Business Administration from the University of Colorado, Boulder and a M.S. in Management from Baker University. Robert Gregory Partners provides Leadership Development Consulting and Executive Coaching Services to the World’s Leading Companies.